Local people gradually began to understand the gravity of what was proposed: this was not just another short-lived idea to move the fruit and vegetable market. 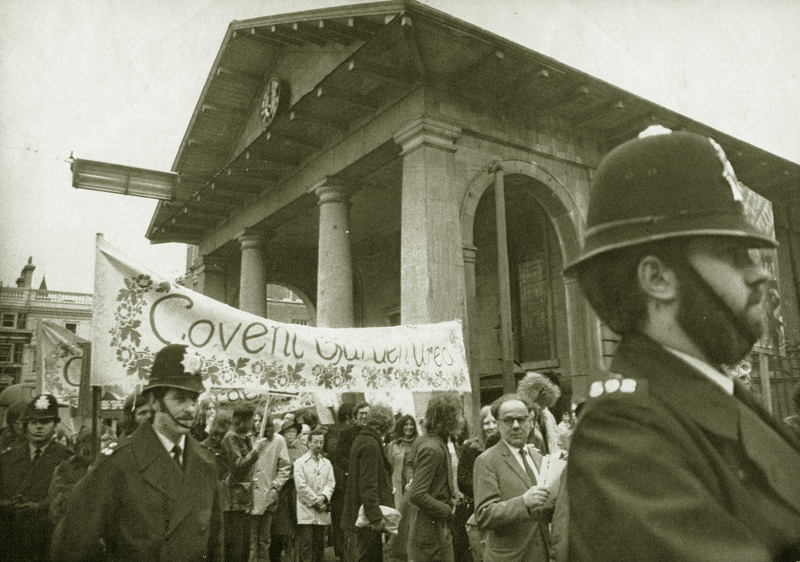 It was a plan to re-invent Covent Garden ... and that plan did not include them. The GLC needed compulsory purchase rights over large parts of the area, requiring a public inquiry. In preparation, a slightly more conservationist revised plan was published in 1971. This ‘renewed’ just half the area, refrained from driving through the eastern portion of the ring road, and reduced the number of parking spaces to 5,000. But there was no comfort for the community. A senior member of the team that had developed the plan, Brian Anson, rebelled against his own work as he came to understand how destructive it was. He lost his job. But with inside knowledge of the GLC’s thinking, he encouraged local people to act. 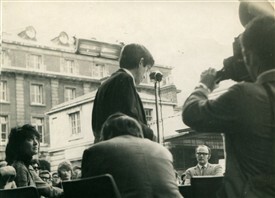 In December 1970 he was part of perhaps the first unofficial community fight-back meeting, in the White Hart pub on Drury Lane, with men from old local Cockney families such as the Toomeys and the Driscolls who were to become prominent in the battle to save the area. By February 1971 they had gone to the press. With headlines like ‘London theatres at risk’ and ‘Revolt in the Cities’, Covent Garden soon became a national issue. Over the next few months The Times and Guardian devoted entire pages to the subject. Land was now worth £2 million an acre. A young architect, Jim Monahan, was outraged at the proposals. 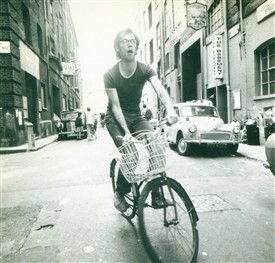 His energetic team from the Architectural Association knocked on every door in the area to publicise was happening, and drummed up support from famous people. He alerted Austen Williams, vicar of St. Martin in the Fields, who became a courageous leader in the battle. Together these early campaigners organised a public meeting at the Methodist Kingsway Hall on 1st April 1971. 600 people crammed in. 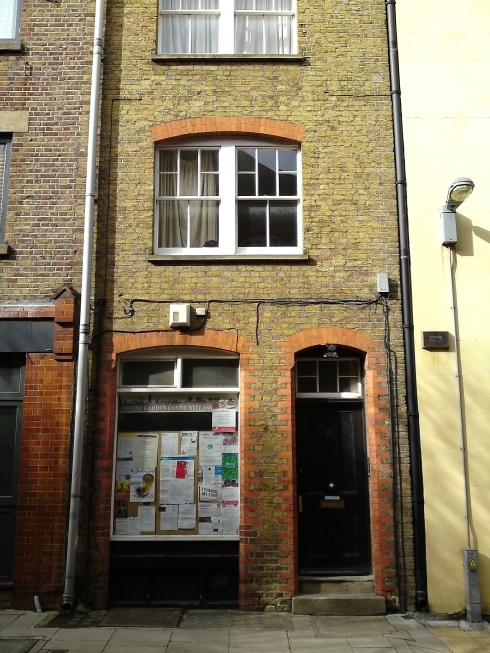 John Toomey, a local man and print worker who would later become a Camden councillor, fired up the meeting as he spoke of how rising rents had already forced him to move outside Covent Garden with his growing family, while his parents and brothers remained. He saw how other communities in the City and the West End had already been driven out. “Planning should be about people!” and similar phrases rang around the hall. 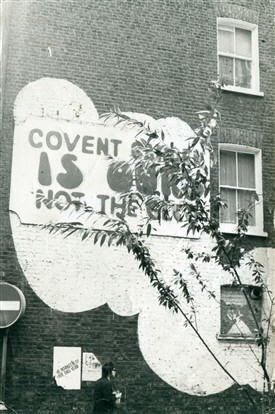 The Covent Garden Community (not yet an Association) was created that night.